Our overall goal is for conditions and opportunities to enjoy cultural freedom and cultural diversity to improve and for cultural heritage to be increasingly used as a tool to promote human rights, peace building and democratic development. 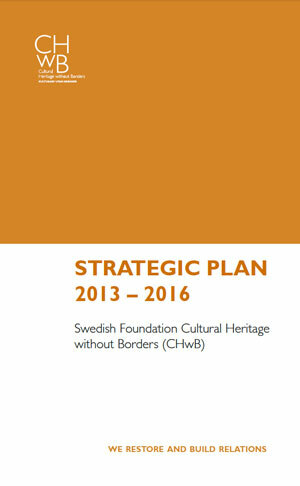 Key Objective 1: The vibrancy of civil society and accountability of institutions in the cultural heritage sector is strengthened. Key Objectiv 2: Cultural heritage is a valued and utilised social, economic, cultural and environmental resource for civil society and government institutions at the local level. Key Objective 3: An expanded corps of quality heritage professionals is prepared to meet preservation challenges responsibly in a number of countries.